This new Modus Vivendi Sailor brief is part of the Greek brand’s Seaman collection. Designed by Christos Bibitsos, it has a distinctive Sailor themed design with black and white stripes and as with all Modus Vivendi products, it is of exceptional quality. There is an excellent level of detail to the brief. The front pouch is in black cotton with black stitching and piping. 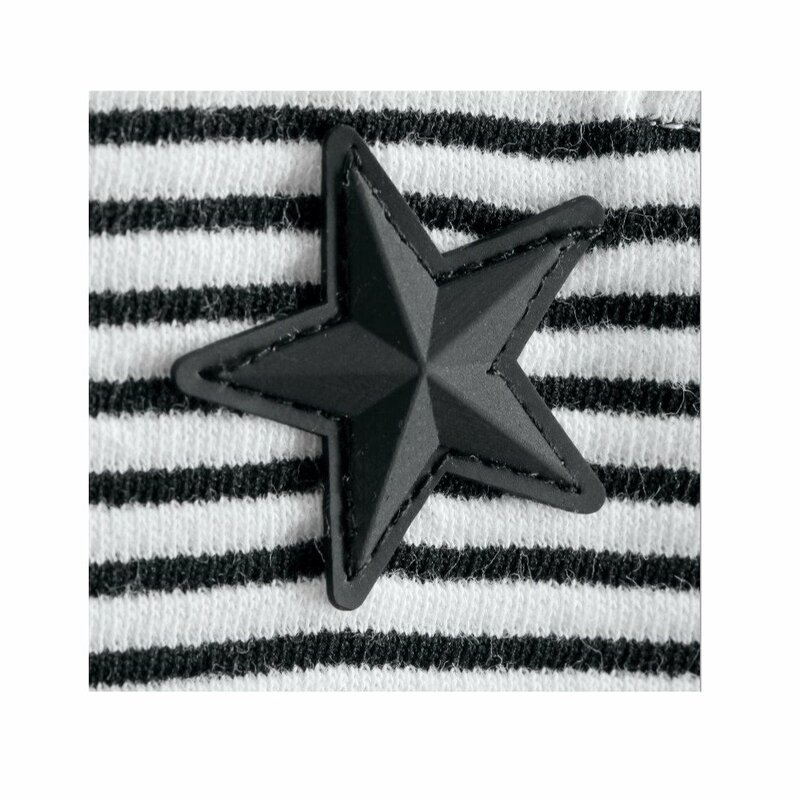 The side and back are in black and white Sailor stripes and there are three raised Vinyl stars embroidered onto the side (see detail picture below). The waistband has the Modus Vivendi brand in large lettering to really make it stand out. The very soft fabric is a cotton and elastane blend to provide a comfortable and soft fit.